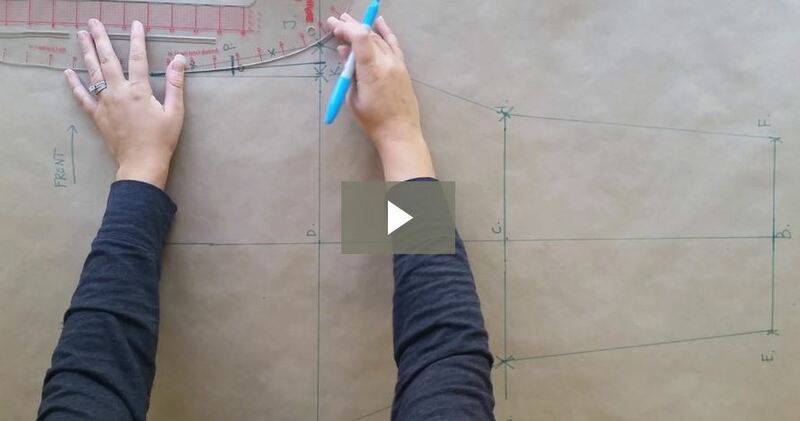 A comprehensive look at pattern drafting tools and how they function in the studio. Kraft Paper Paper for drafting patterns in a home studio is essential. Without it, it would be close to impossible. In the basic tools and supplies article, I review a few different types of paper and the benefits of each. 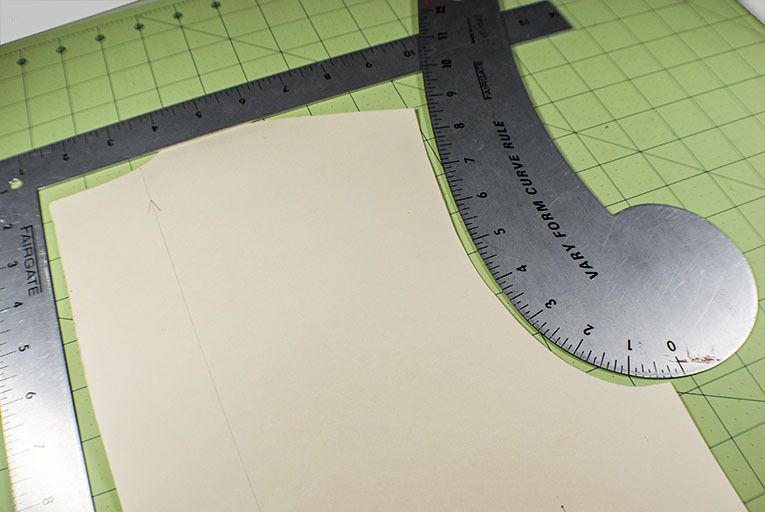 So, the reason why paper is essential, for both flat pattern making and even draping, is because you need a medium to create the patterns, make adjustments to patterns, and to catalog styles. Today, a lot of professional pattern makers use software programs like Gerber to create their patterns. And that’s great, for professionals. But, quite frankly it’s very complicated and not necessary for the home apparel designer. 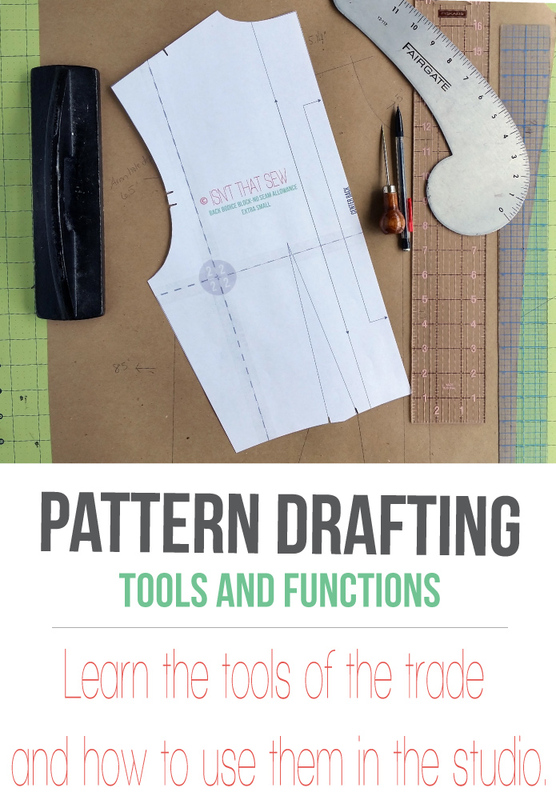 Once you advance your skills, you can start transferring your patterns to a digital format. I simple trace my patterns in Adobe Illustrator to catalog and share them. “L” Square The “L” square is one of the most basic of the pattern making rulers. This ruler helps to create accurate 90° angles and straight edges. It measures, rules, and squares simultaneously. Hip Curve The hip curve helps to shape the hip line, hem, and lapels. Vary Form The vary form ruler blends and shapes armholes, necklines, side seam curves, and more! Just as the name suggests, it does a variety of jobs! French Curve Essential tool for accurately shaping armholes, necklines, and collars. Dritz Design Ruler The Dritz styling design ruler is great because it combines the hip curve, vary form, french curve, and clear plastic ruler in one! I highly recommend getting yourself one of these awesome rulers! Awl A handy tool and often overlooked, the awl will pierce a small hole in your pattern to indicate the end of a dart, pocket, trim, or button hole. 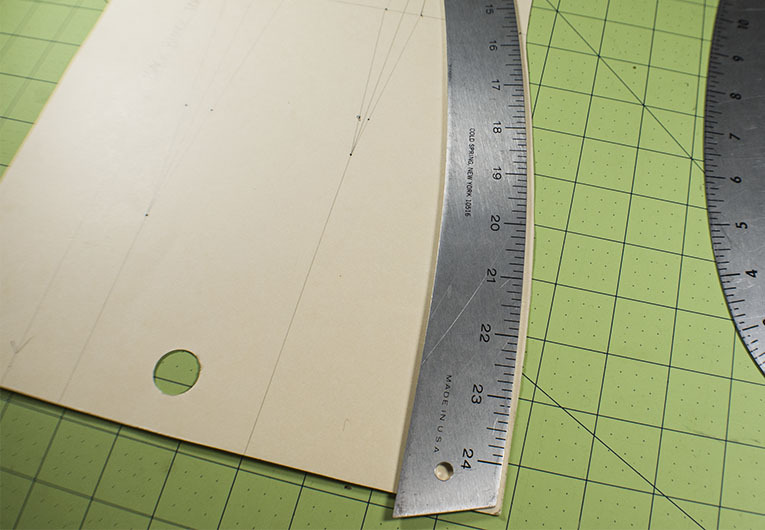 The awl is also handy for scoring paper to fold, as well as “walking” your measuring tape around curves for accurate measuring. Notcher The pattern notcher will create flawless pattern markings. For example, dart legs, seam allowance, center lines, ease, and to identify front from back patterns. Tracing wheel Pointed and very sharp wheel transfers marking onto a clean sheet of paper. This tools is often used when retracing patterns or when transfer draped muslin onto paper. Clear Plastic Ruler Perfect for measuring seam allowances and drawing dart legs. If you find this post helpful, please comment, share, or pin! Disclosure: Please note that some or all of the links contained in this post are affiliate links, and at no additional cost to you, I might earn a commission if you decide to make a purchase. Please know that I have experience with all of these products and I feel confident recommending them to you because I have found them to be helpful and useful….Read more here. I have happened to find your blog through Pinterest, I am very much interested in the tools you mentioned in this post, I wonder where I can buy some of these tools like French curve and Vary Form. I would very much appreciate if you can suggest where I can find them. Thank you so much. i am from Nigeria. 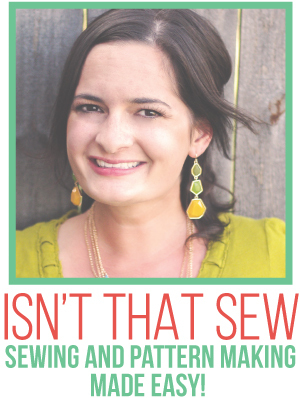 i appreciate your insightful teachings on pattern making and the likes. 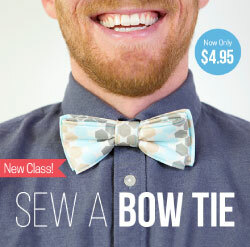 you really make sewing more interesting and easy for me. now i understand the different and most important tools i require because when i started i was at loss on what tools to use and i made several errors in my measurements. 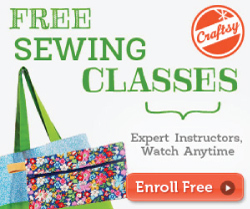 now i feel more confident and better equipped to arrange my sewing corner and sew better garments for my self. i will subscribe to your resources and dilligently follow through to know better. i hope you will find time to share on making a sloper and a lady’s pant (trouser). Thanks for your kind words! I’m working on the trousers. Hi Susan, You can try to do a web search for printable french curve and see what you come up with. Also, if you are able to find once, you could trace it onto a piece of cardboard to make it more sturdy. Good luck! Thank you for your tutorials. I will use them and return with the results. Wonderful! I live in Connecticut and I plan on going to the garment district in NYC sometime this month. I love browsing through the maze of fabric in the fabric shops, but because of a pending move back to Chicago, I WILL NOT buy any fabric as I have so much of it! There is one store in particular (the name escapes me at the moment) that sells the tools you mention. I will go for the purpose of purchasing some of the pattern drafting tools. I was/am never comfortable buying the tools on the internet because until a few days ago, I lacked the knowledge of what it was I was looking for, let alone if what I was buying would serve my purpose. Because of the photo you attached I now am able to see how the T-square is an important tool especially when creating armholes (as I get older my figure is changing and I need to make changes on the patterns). Thank you for the wonderful information. I am very grateful.